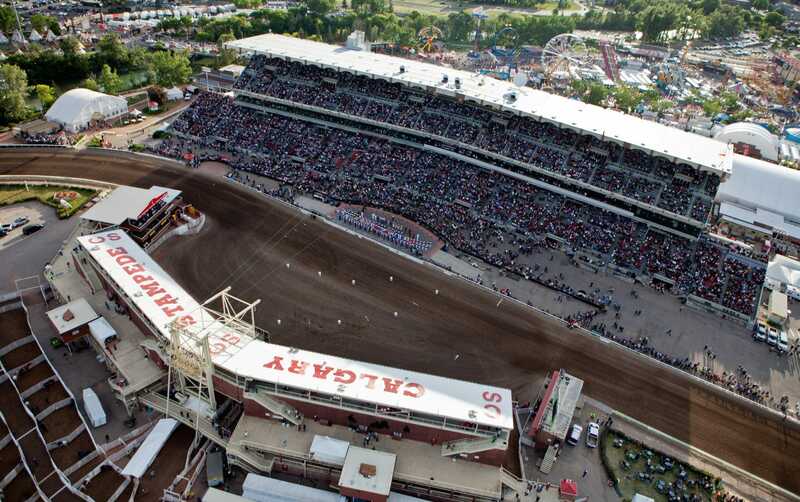 The Calgary Stampede is committed to ensuring our Park is accessible to all guests, of all abilities. Paved pathways and ramps assist in wheelchair access to all of the buildings on Stampede Park. The Big Four building has elevator access through the main entrance, on the east side of the building, while elevator access to the Grandstand building is available at the south tower. Telephones for hearing impaired individuals are available at all telephone banks. Service animals are also permitted on Stampede Park. Stampede Park has available a limited number of wheelchairs for patrons attending events at Stampede Park. Wheelchairs are available on a first-come, first-served basis. Stampede Park Lost and Found is located in the Security Office. Please call 403.261.9347 to inquire about lost items. Medical coverage may be contracted for any event and may be a requirement for some events. Please contact Show Management for more information.